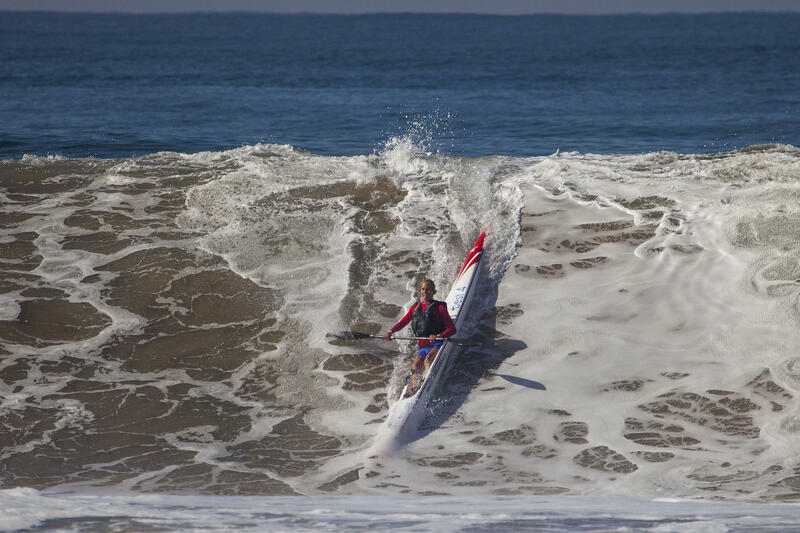 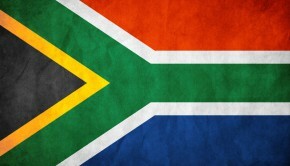 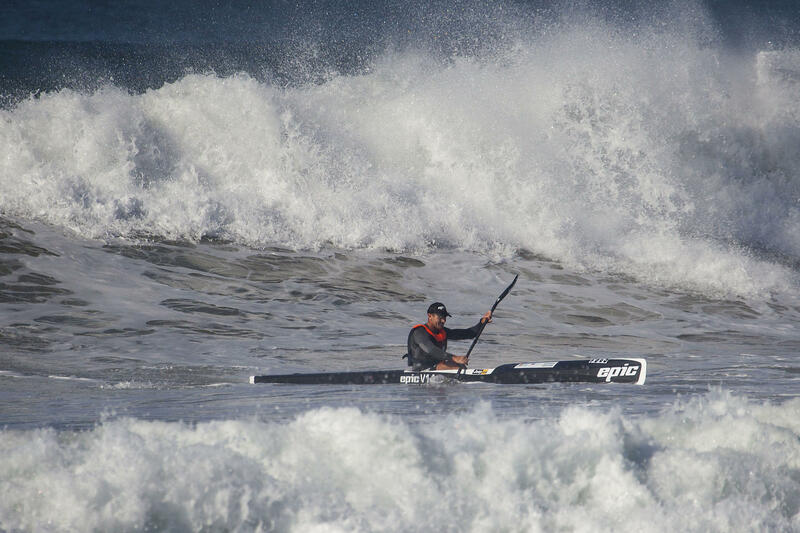 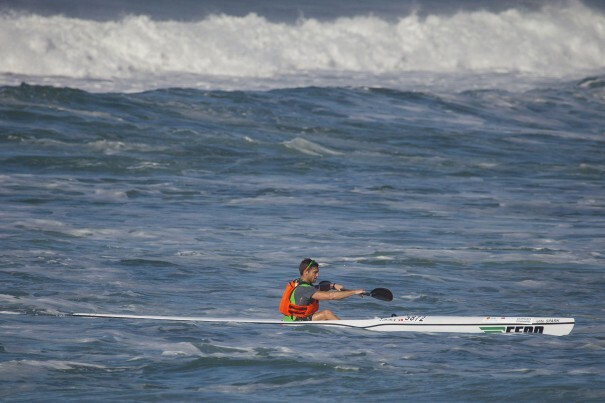 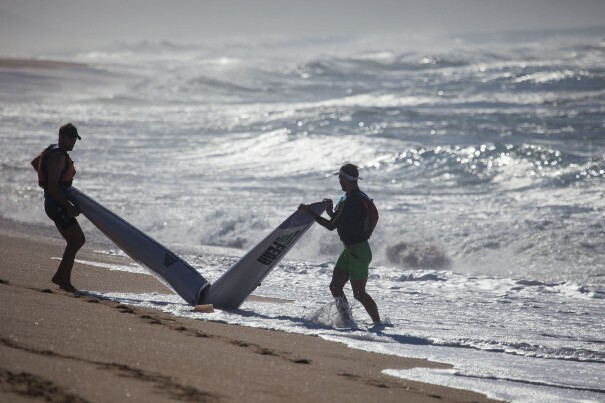 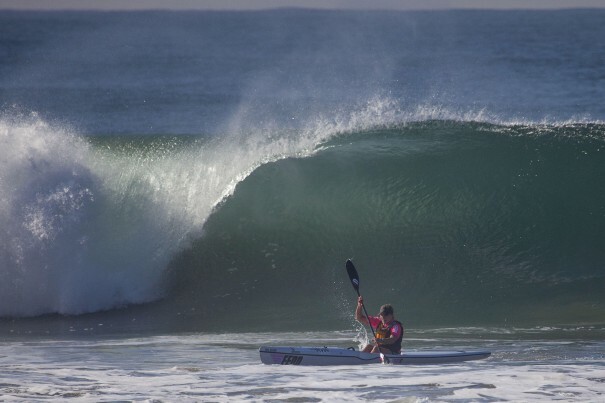 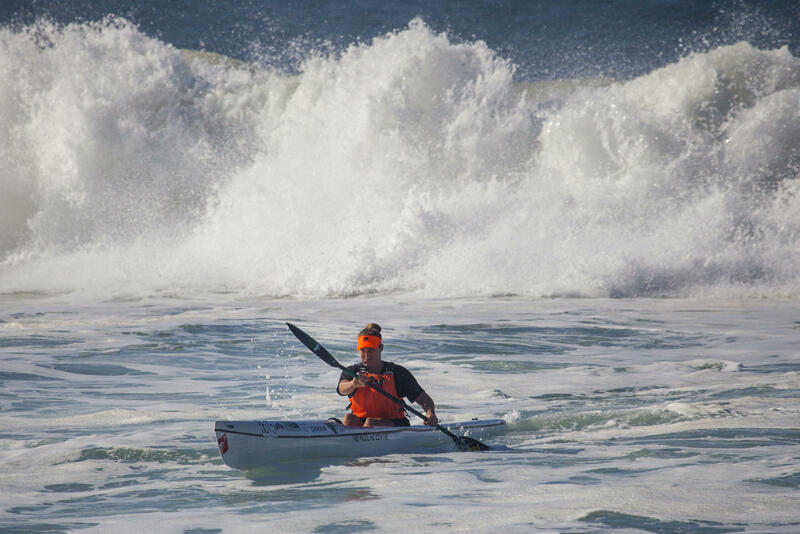 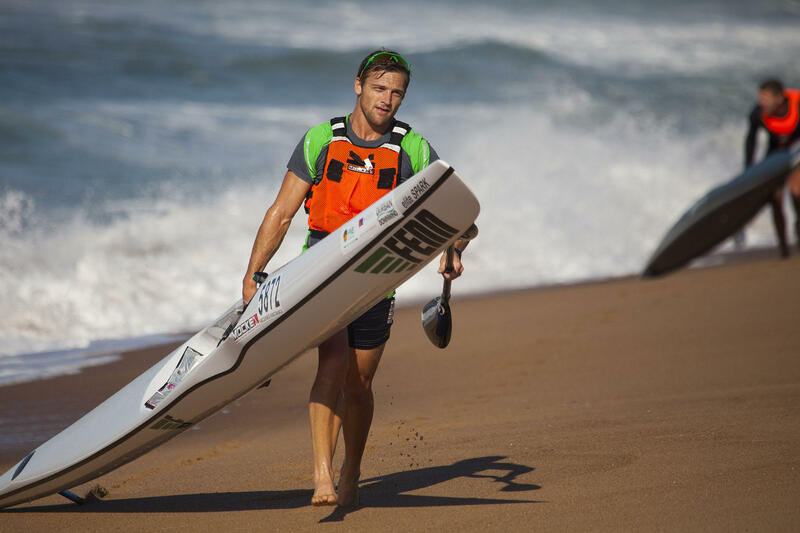 Durban – The conditions may have been tame for much of the 26km opening day of the FNB Mazars Durban Downwind surfski race but the racing was action-packed and laden with drama as Jasper Mocké and Nicole Russell clinched their maiden men’s and women’s South African Single (S1) Surfski Championship titles. With the hoped for downwind conditions not materializing on Saturday morning and flat open ocean conditions, a stiff headwind and massive 10 foot surf at the finish, developing instead it was a slog for all participants as they made their way from Marine Surf Lifesaving Club at Durban’s Addington Beach to La Mercy Beach on KZN’s North coast. 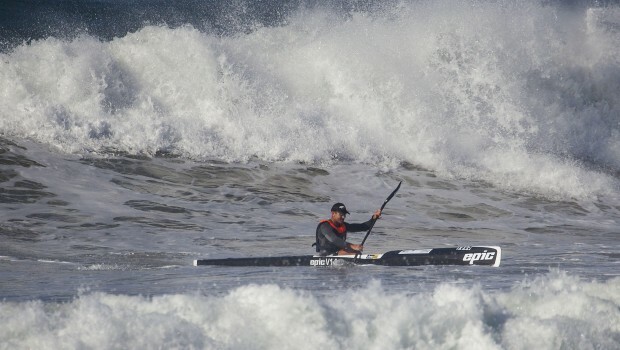 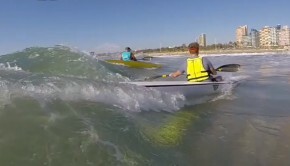 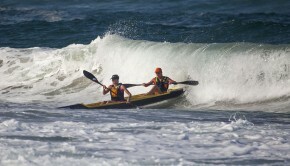 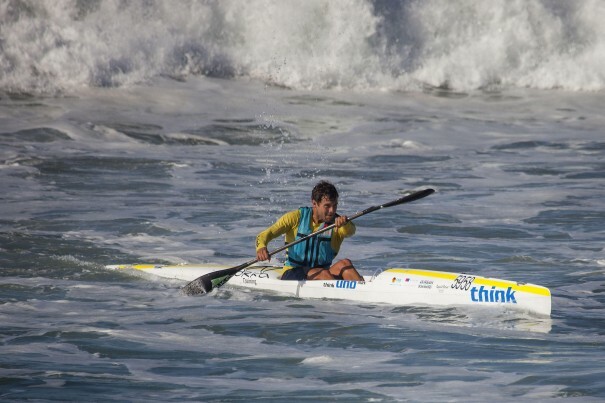 Having won his two national surfski titles in a double ski previously, Fenn Kayaks/Mocké Paddling Gear’s Mocké clinched his maiden individual SA crown in dramatic fashion after race leader Hank McGregor (Epic Kayaks/Team Jeep) was thrown from his ski by the massive surf just metres from the finish line. “Obviously I felt for Hank and, out of respect for him, I didn’t claim the win when I crossed the line but at the same time the race is to the finish line and I managed to get there first and I’m just so stoked to have my first individual SA surfski title!” explained a visibly proud Mocké afterwards.